My name is Irum Javaid and I am 23 years old. I have done my masters in MFA (Masters in Fine Arts) Design 2016. I am a Social Entrepreneur and Graphic designer by profession. I am also a member of PUAN (Pakistan US alumni Network) since 2007. I am highly passionate about cars. My passion for cars is not only in my mind but my university knows well that every assignment during ma degree was only on cars cars and cars. Assignments includes paintings, sketches, Installation Art and digital painting . 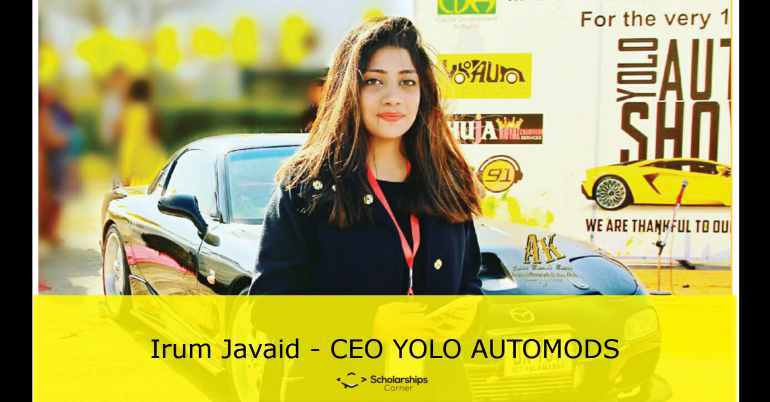 I have introduced Cars virtual modification company (YOLO AUTOMODS) for the 1st time in Pakistan which in non profit based and its only to serve people where ‘You choose,we design’ at my final year thesis project. I own Volkswagen beetle 70’s model which I restored during my thesis project for the display. 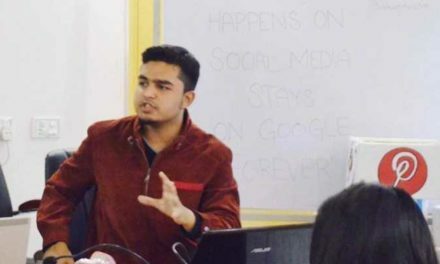 I am working in this community since 2.5 years, where female have no awareness about Motorsports community and and I introduced at my university first. I just made a Facebook group of 8000 members (Heels On wheels) where I am not only making Peace and women empowerment but also to aware girls about this positive community. This initiative is not only to own a company as a female but its also to empower females as well. 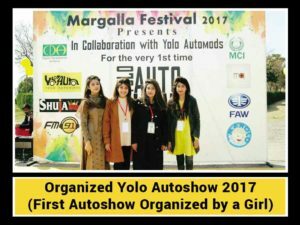 Motorsports field is already gender specified and there is no space for girls to participate and I am the one who took initiative to empower girls so I organized Yolo Auto show last year at Islamabad where I provided platform to girls to participate in Auto show. These achievements are only done because of my love and passion for cars. If I can do this then every women can do this. I know its challenging but women has more power to accept challenges and to fulfill them. I believe that nothing is impossible. “Some women choose to follow men, and some women choose to follow their dreams”. I am the one who is following her dream . After achievements and goals of mine at the age of 23 my biggest dream is to make a company in my country which will be own by females and work by females in this community.